The perfect cover up. 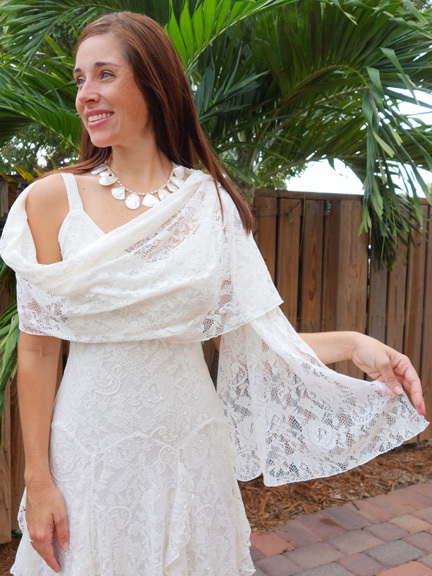 The polyknit chiffon shawl is a soft, beautiful addition for a chilly restaurant or a cool evening event! Completes the lovely lace dresses. Made in Bali. Category: Lace Dresses & Fashions.